RADIQ Vida Noir Remixes vinyl at Juno Records. 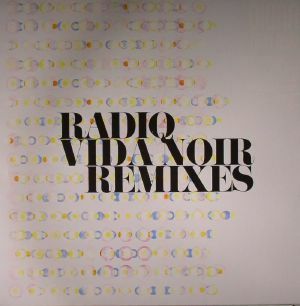 The Vida Noir double pack issued through op.disc in 2013 was perhaps the finest example of Yoshihiro Hanno's work as Radiq to date, and as such is a perfect candidate for remix treatment from the label. Naturally, op.disc keep matters in house with three of Hanno's label mates contributing to this high quality 12". Fumiya Tanaka is up first with a deep reworking of "Vida Noir" that recasts the track as a minimal monster filled with all manner of intricate vocal detail under that slick rhythm. 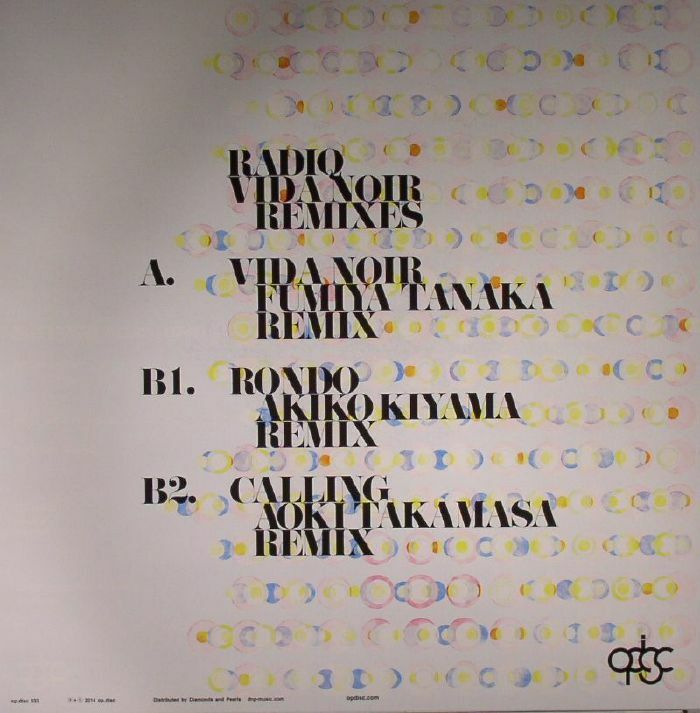 Akiko Kiyama is on equally good form with a remix of "Rondo" that features some delightfully abstract production work to the skipping beats, whilst Aoki Takamasa veers into micro house territory with an excellent revision of "Calling".